Ultimate Guide to Smart TV on sale today! | What Hi-Fi? 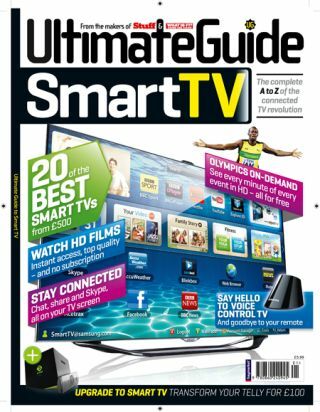 Ultimate Guide to Smart TV on sale today! The Ultimate Guide to Smart TV, on sale today, showcases the cutting-edge television tech you need to transform the way you watch. Inside, you’ll find in-depth reviews of 20 of the year’s hottest Smart TVs, plus tests of our favourite network streamers, ideal for transforming your existing TV into an internet-connected set. You’ll also find smart TV recorders, games consoles, mobile devices and AV accessories galore to expand or improve your system. We’ve packed in the practical how-to advice you need too, including how to choose the correct screen size for your room, a step-by-step guide to mounting your new TV on the wall and how to set up your picture to deliver the best quality. We even walk you through optimising a network and sharing your digital media, and we’ll also bring you our pick of the best TV shows and films to stream, plus all the best Smart TV apps and services. Brought to you by the makers of What Hi-Fi? Sound and Vision and Stuff, the Ultimate Guide to Smart TV is available in all good newsagents now.